Learn about the different ways you can use Kashoo to track your inventory. We recommend two different inventory methods depending on if you want to see the dollar value of the inventory that you have on hand or not. This method involves one extra step but it allows you to instantly see the dollar value of the inventory that you have on hand which is very useful if you have a lot of inventory or carry it for extended periods of time. If you are using the web app (kashoo.com) you have the ability to create items and input the price you sell and buy them for. In addition you choose the account to categorize the income and the expenses to. In order to track the dollar value of the inventory on hand you will need to associate the buying expense to the Inventory account. When you buy more product to use in your business or re-sell, you will need to purchase the product. In Kashoo this is entering an expense. If you have items setup you will select the item name in the Categoty field. 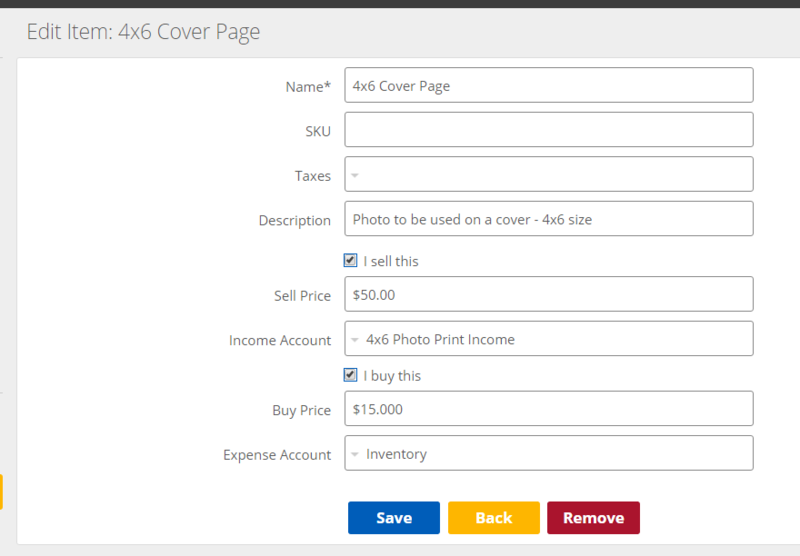 Note: If you don't have items set up you will select the Inventory account in the Category field. When you sell the product you will need to enter income or create an invoice to be paid. If you have items setup you will select the item name in the Category field. Note: If you don’t have items set up you will select an Income account in the Income Account field. This final step is very important because at this point we have revenue for selling the product but it is still sitting as an asset in our Inventory account, essentially being counted twice. We need to transfer the value of the product that was sold from the Inventory account to the Cost of Goods Sold account. This method is really good for companies that don't keep a lot of inventory on hand or tend to purchase what they need for immediate use. If you are using the web app (kashoo.com) you have the ability to create items and input the price you sell and buy them for. In addition you choose the account to categorize the income and the expenses to. In the expense for the I buy this you will want to assign the expense to Cost of Goods sold or another appropriate expense category. When you buy more product to use in your business or re-sell, you will need to purchase the product. In Kashoo this is entering an expense. If you have items setup you will select the item name in the Category field. 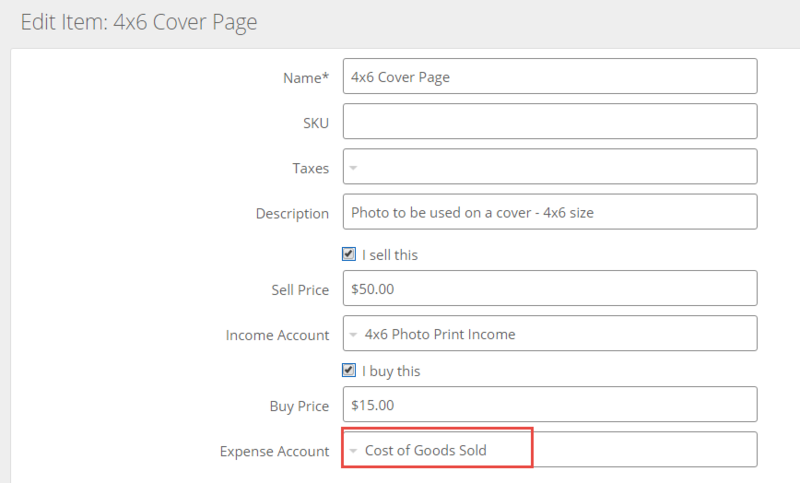 Note: If you don't have items set up you will select the Cost of Goods Sold account in the Category field. Note: If you don't have items set up you will select an Income account in the Category field.